Simon Gleave wrote about Mancini’s Champions League performance with Manchester City yesterday, and I was moved to make a counter-point to his argument. While what Simon wrote is interesting, my feeling is that this sort of analysis is only valid if Mancini’s time at Manchester City represented his full body of work. It does not. Before his flowing locks and be-scarved neck arrived in Manchester, Mancio was one of the most lauded managers in Italy, winning three consecutive Serie A titles along the way. Over the years, Mancini has also proven outstanding at winning domestic Cup competitions, winning five total Coppa Italias and FA Cups since 2001. This is a very impressive record, especially given that he won Cups with an undermanned Fiorentina squad and at Lazio when chaos reigned. But has the ability to bring home domestic cup trophies translated to success in Europe? Now instead of two seasons, we have six seasons of data to analyse, four with Inter Milan and two with Manchester City. The group stages here equate to about the same number of games in one season of football, which is probably enough to try and judge a manager, though not nearly enough to run a statistical analysis. Small sample sizes make analyzing performance in Europe messy for just about anyone, but you work with what you’ve got. Now during this time, Mancini wasn’t piloting underdog clubs – Inter were in the Top 10 of the Deloitte Money League consistently during his time as manager there, while City have one of the highest wage bills on the planet. (Note: High player wage bills are heavily correlated with success on the football pitch.) Therefore, you would expect his clubs to perform well at the domestic level as well as in the Champions League. Did they? In six seasons of CL football, Mancini has produced two Quarterfinals appearances, two Round of 16 appearances, and two seasons where they didn’t make it out of the group phase. Given that his teams were likely favorites or strong favorites on To Advance lines out of the group stages and in the vast majority of their knockout matchups (excluding his first season against AC Milan), that has to be considered a bit disappointing. Yes, you can add context and develop plenty of reasons for why they didn’t advance, but both Inter and Manchester City were spending huge amounts of money presumably in pursuit of a Champions League trophy and Mancini has never even made a semifinal. Mancini has four league titles across England and Italy and enough cup titles under his belt, that you have to consider him to be at least a good manager. On the other hand, his clubs barely punch their weight in Europe, and never seem to overperform. Two seasons after Mancini was sacked at Inter, Mourinho won the Champions League title with Inter, beating Chelsea, the world’s greatest team (Barcelona), and Bayern Munich in the process. 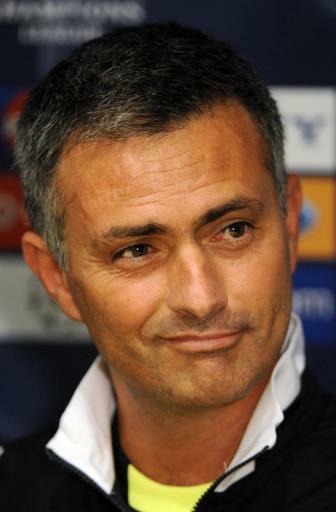 Yes, that team had a different composition, but still – Mou had almost immediate success in Europe at Inter Milan. Mancini had four seasons and didn’t make a semi. Sure, Manchester City have been unlucky in their group draws for the Champion’s League two years in a row, and it’s harsh to judge Mancini on CL success alone when they were only about 50% to progress out of the group in either year. However, after six seasons at the helm of two of Europe’s biggest clubs, I think you have to look at Mancini’s record and be sceptical of his ability to bring any club Champion’s League success. He’s been gifted with resources the like of which many managers will never see, and has failed to produce any notable success. 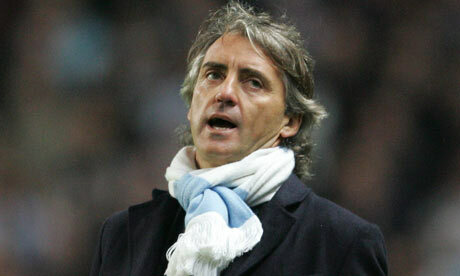 Mancini did make the semi-finals of a European club competition, and he did it with Lazio in the 2003-2004 UEFA Cup. On one hand, I want to give him credit for this, since it technically counts. On the other hand, I look at the fact that Lazio went through heavyweights Sturm Graz, Wisla Krakow, Besiktas, and I can’t do much other than shrug. The team Lazio lost to in the Semifinal that year? Eventual champions Porto.